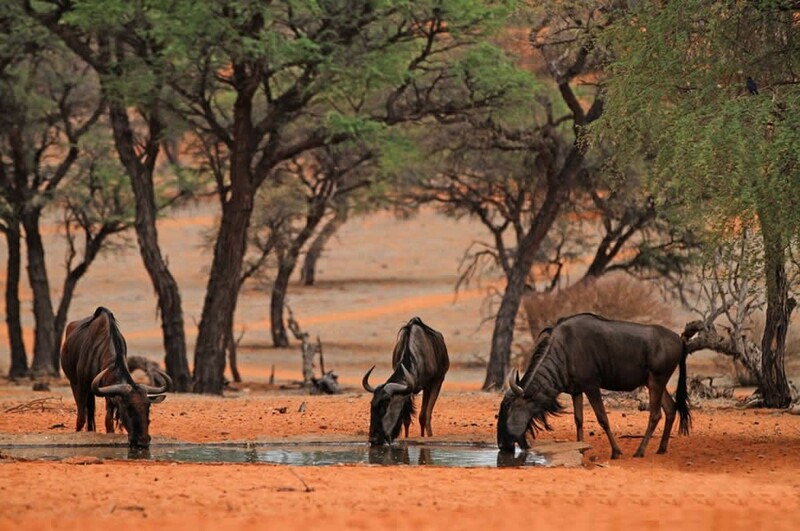 The rapture that is the Kalahari Desert can truly be experienced on this 10 000 hectare game reserve. 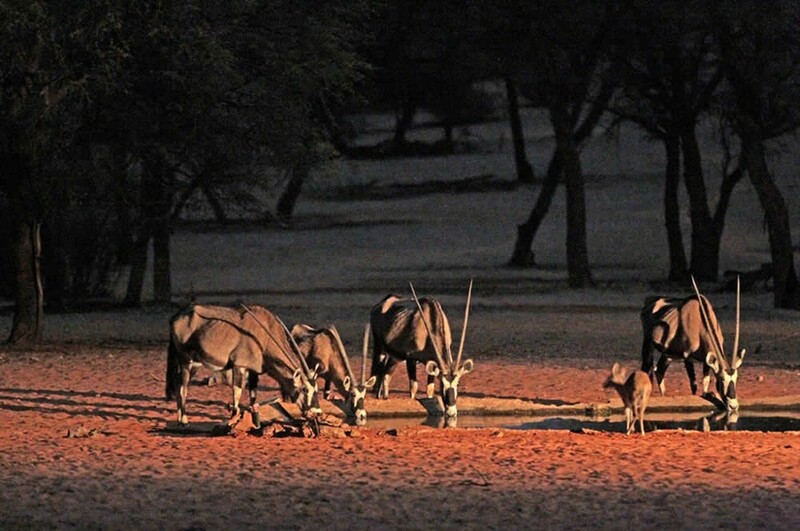 Zebra Kalahari Lodge is just 250 km from Windhoek and offers travellers breath-taking views and incredible fauna and flora to discover. 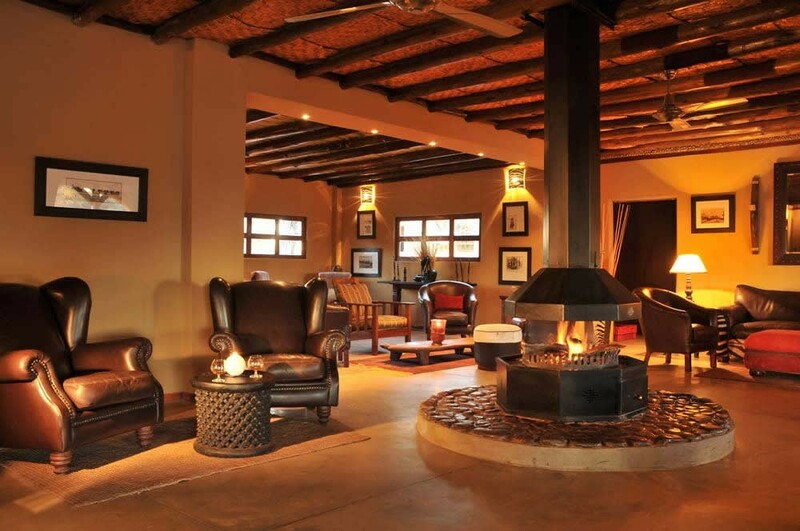 There are 8 rooms adjacent to the lodge area which consists of a lounge with comfortable leather seats, a dining area on a deck mirroring the waterhole and swimming pool and a bar. 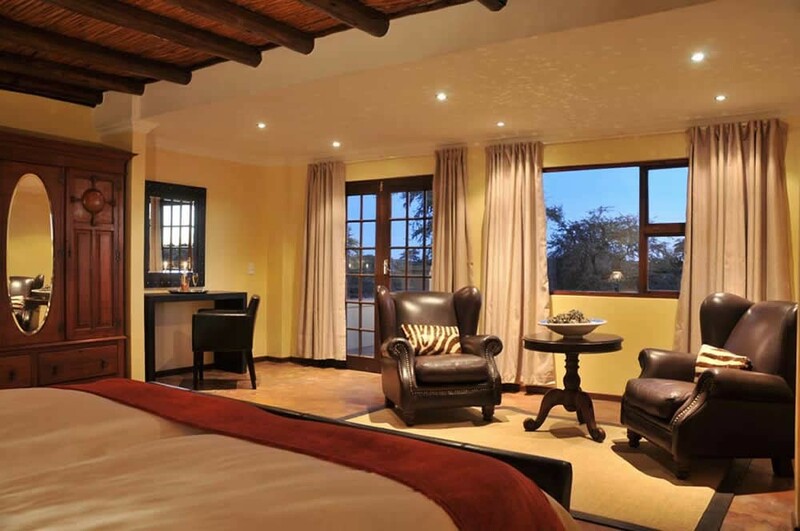 This lodge is ideal for families or for more mature travellers as the facilities at the main lodge are easily accessible from their rooms. 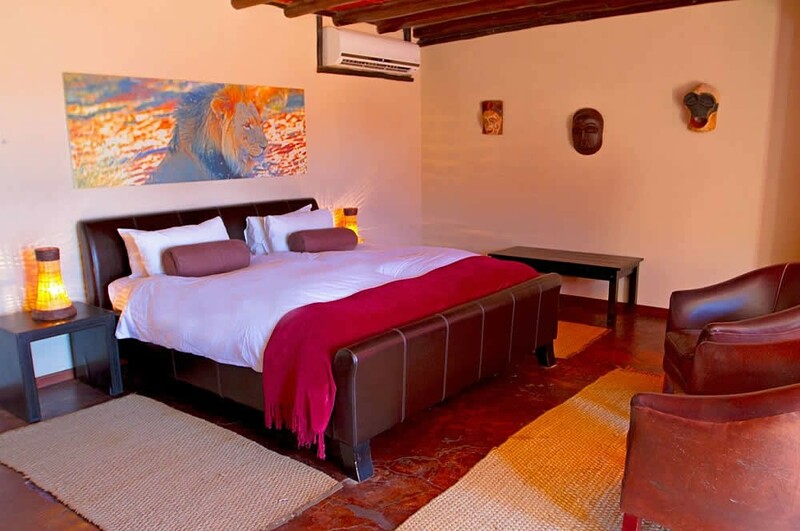 The 5 Dune Suites at Zebra Kalahari Lodge are located just a few metres from the main lodge building and offer the same spacious rooms with elegant African décor fitted with air conditioners, a mini bar, a hairdryer and a coffee and tea station with a large en-suite bathroom leading out to an outside shower. 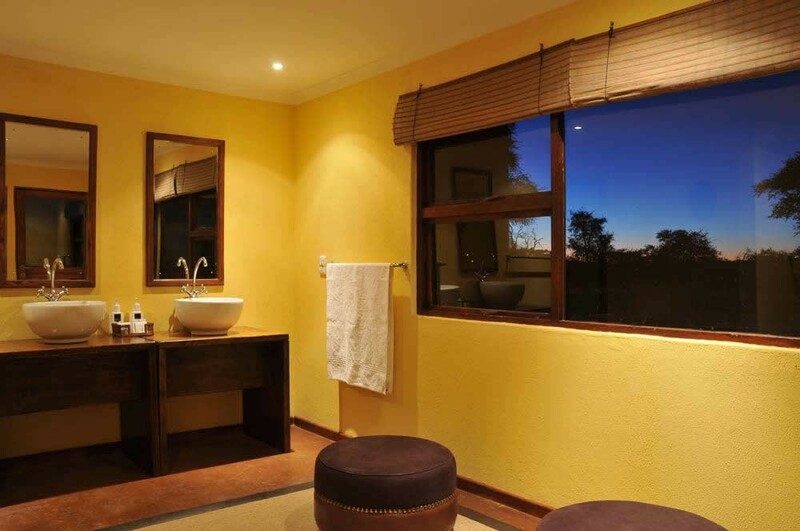 These rooms allow guests who wish to have a little privacy and distance between themselves and the main lodge to do so. 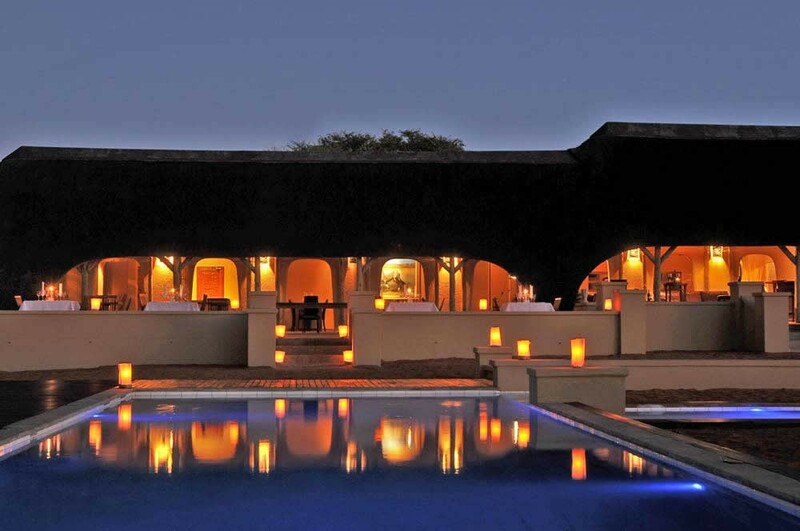 The gate to Zebra Kalahari Lodge is on the right. 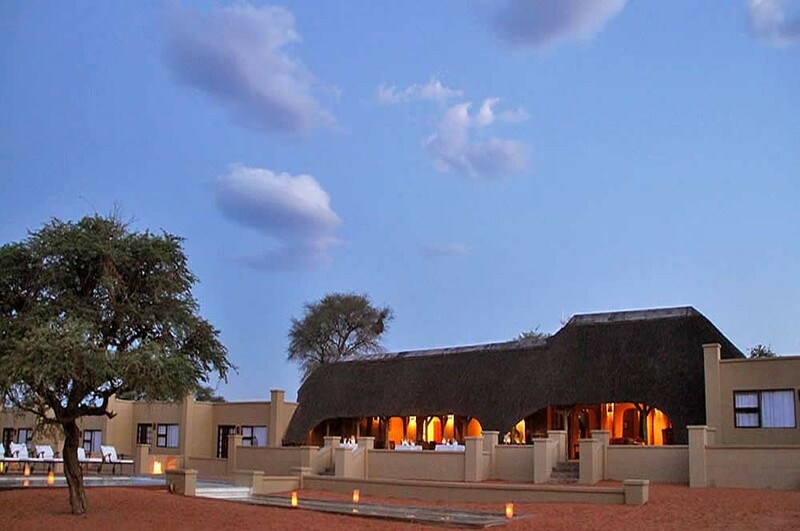 The gate to Zebra Kalahari Lodge is on the left.